ABB’s ACS550 variable speed drive surpassed its three millionth installation last year, but there was little time for ABB drive engineers to celebrate this world leading event because they were hard at work on the release of its successor – the new ACS580, which is now available in New Zealand. The new ACS580 is a general purpose drive designed to control a wide range of variable and constant torque applications such as pumps, fans, conveyors and mixers in a broad range of industries. The drive is equipped with built-in features that simplify installation and commissioning costs with everything provided in a single, compact package. 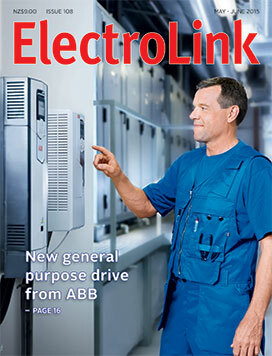 But one of the most significant features, says ABB’s drive business manager, John Keir, is the adoption of ABB’s ground-breaking ‘all compatible’ architecture in a standard drive range. In late 2009 an independent review of the draft (2010) regulations picked up a serious flaw in the testing and certification of prescribed electrical work (PEW) that had gone undetected since 1993. Certification, as defined in the Electricity Act, had to be carried out prior to the connection of the work to a power supply (s.82.1) and this meant all installation work was covered by the testing and certification rules, but not the wiring of the connection that still had to be done after a CoC was completed. With the possibility of transpositions occurring while connecting new work or, more significantly, reconnecting fittings or an installation after repair or maintenance, Energy Safety moved quickly to incorporate a checking and testing regime into the connecting of work, followed by the issuing of an Electrical Safety Certificate (ESC) to confirm the safety and compliance of the connected installation. It has taken a few years to arrive, but the electrical industry will soon be hit by the blast from the Pike River mine when new regulations governing electrical work will be created under the Health and Safety at Work (Hazardous Work) Regulations. These regulations will apply to all prescribed electrical work (PEW), not just PEW in mines and will change the way work on and around installations and works has to be carried out. Live work on installations will likely remain prohibited in all but exceptional circumstances and will become more aggressively regulated as the sanctions are shifted from regulating workers under the electricity regulations to regulating employers under the new health and safety regulations to support the bill currently before Parliament. The New Zealand electrical regulator has signalled its intention to address the requirement for additional wiring infrastructure in domestic garages to facilitate the safe and effective charging of electric vehicles (EVs). Energy Safety principal technical advisor Peter Morfee says Energy Safety is recommending that all new domestic garages be fitted with an AS/NZS 3112-compliant, flat pin, socket outlet rated at 15 or 20 amps supplied from a separate 20 amp-rated, RCD-protected circuit. The recommendation will be built into the public comment draft of AS/NZS 3000 which is currently under review. The provision is not however expected to take effect until mid-2017 at the earliest. If you know you should be installing power factor correction but haven’t had time to decide what kind of system to get, you could have the problem solved in 15 milliseconds. 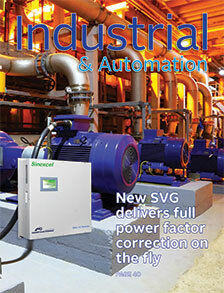 That’s all the time it takes for a new SVG Var Generator to automatically go from zero to full power factor correction and maintain supply at near unity no matter what gear you switch on or off or the size of the load, says Mark Duncan of Power Electronics NZ, the suppliers of the new Sinexcel SVG systems. He says investing in power factor correction today is a quick and simple decision with the ongoing costs of capacitor replacement now taken completely out of the equation following the introduction of the inverter-based SVG system. Robots demand more work but are New Zealand manufacturers listening? Just as machine vision is changing the way manufacturers automate their manufacturing processes, a new generation of industrial robot is bringing automation within reach of many smaller lower-volume producers. As robots become smarter, faster and cheaper, they’re being called on to do more as the capability of robotics to take on human tasks evolves. Robots are already showing human capabilities and traits that many considered improbable even a decade ago. 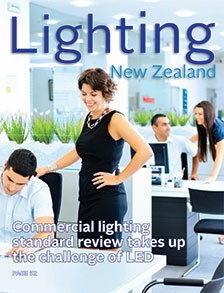 Lighting suppliers and designers can expect greater clarity and direction around the testing and application for LED luminaires in commercial indoor applications following a review of the commercial indoor lighting standard AS/NZS 1680:2006. As the accepted standard for interior and workplace lighting in New Zealand and Australia, AS/NZS 1680 sets out general principles and recommendations for the performance and comfort of interior lighting, and parts of 1680 are currently being upgraded. The standard applies primarily to specific visual tasks and takes into account both artificial and natural light. It also seeks to minimise and control artificial lighting factors that cause visual discomfort. Changes introduced in the New Zealand-only amendment to the recessed lighting standard AS/NZS 60598.2.2 (Amendment A) look likely to be adopted by Australia. This will harmonise downlight requirements on both sides of the Tasman and create greater compliance certainty and a bigger market for downlight manufacturers. The New Zealand-only amendment was a pragmatic solution driven by New Zealand downlight suppliers to manage fire safety risks arising as a consequence of flammable thermal insulation being abutted to or covering recessed ceiling downlights. The amendment was developed at a time when subsidised home insulation schemes were generating a lot of residential insulation activity and installation of different types of ceiling insulation materials.